Molton Brown’s NEW limited edition Gourmand Collection makes the perfect gift for Mother’s Day. Inspired by the success of the Rhubarb & Rose Collection Molton Brown have launched two new gourmand scents to tickle your fancy, Exquisite Vanilla & Violet Flower and Comice Pear & Wild Honey. 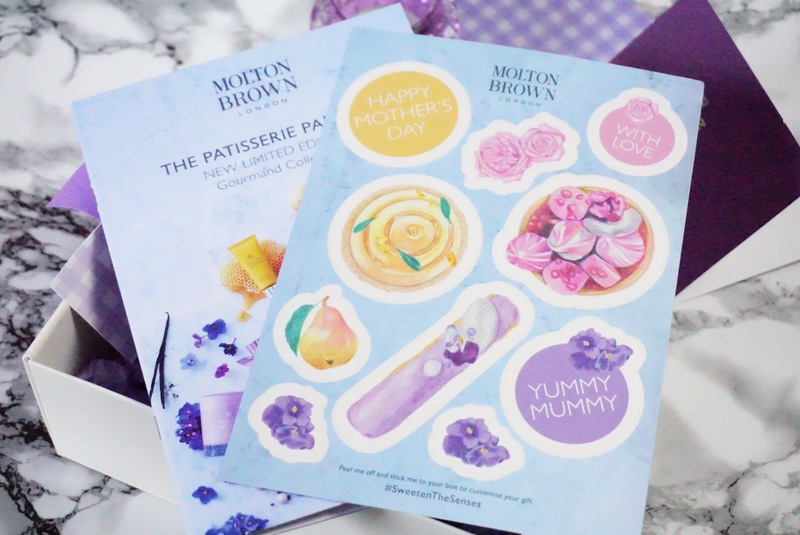 The limited edition collections are available in beautifully boxed gift sets with customisable stickers for Mother’s Day. 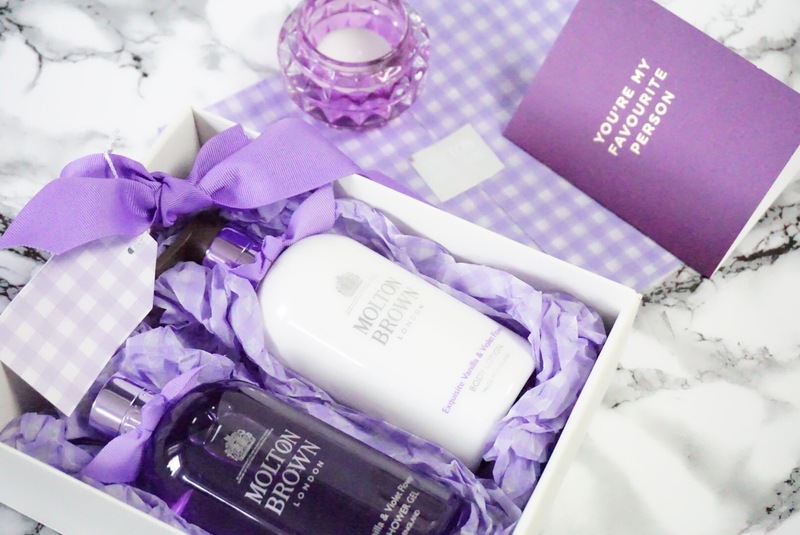 What mum wouldn’t be proud to have Molton Brown in her bathroom? It is such an iconic British brand that has always strived to create unique and indulgent scents. Their newest limited edition scent Exquisite Vanilla & Violet Flower doesn’t disappoint. Vanilla & Violet Flower is the perfect scent for spring, bringing a floral freshness to your home. A powdery fragrance that has fresh violet leaf and floral freesia tones cutting through the rich vanilla base. A nostalgic scent that would sit perfectly in any Mother’s bathroom. The collection is available to purchase as individual items but the beautiful gift boxes and wrapping are definitely part of the experience. 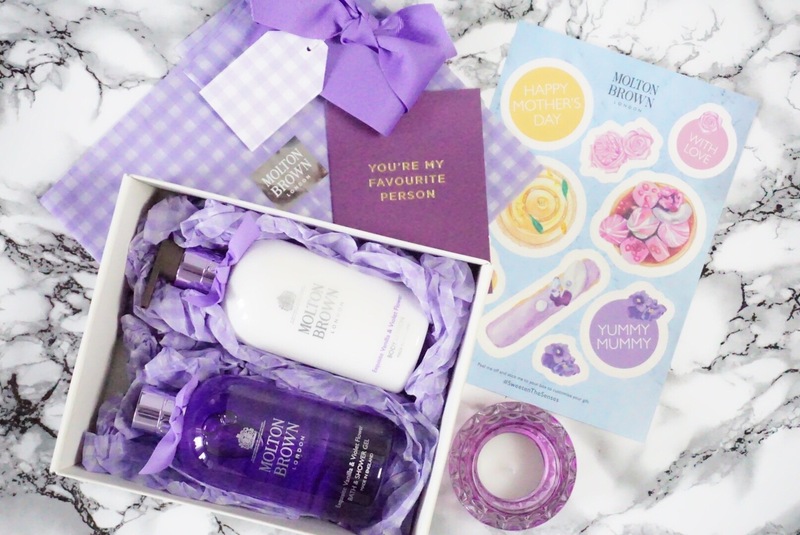 Gift sets are available here Limited Edition Vanilla & Violet Flower Body Wash & Lotion Gift Set £45 and Limited Edition Vanilla & Violet Flower Body Wash, Lotion & Candle Gift Set £69 (worth £81). Receive a free 3-piece travel set (3 x 50ml) when you spend £40 (This offer ends at 11.59pm BST on Tuesday, 4th April 2017). View my disclaimer HERE. Affiliate links may be used. Posts are not affiliate driven.